The Kingdom of the Netherlands originated in the 19th century. 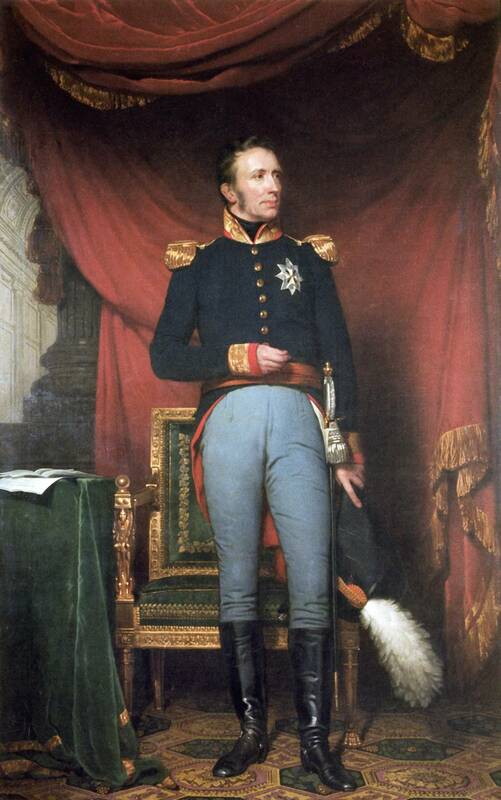 The first monarch was King Willem I (1772-1843). Following their military victory over the Netherlands, the French transformed the Dutch Republic into a modern unitary state, known as the Batavian Republic (1795-1806). Initial enthusiasm for the French vanished quickly due to their complete lack of respect for Dutch independence. In 1806 the Batavian Republic became the Kingdom of Holland, under King Louis Bonaparte, Emperor Napoleon’s brother. His reign lasted until 1810, when the Netherlands was incorporated into the French Empire. Three years later the French withdrew, marking an end to the period of Napoleonic rule. The future King Willem I (1772-1843) was the eldest son of Prince William V. In 1802 he became the ruler of the German principalities of Fulda and Corvey, which he had been given by Napoleon Bonaparte as compensation for the loss of his Dutch domains in 1795. He lost these new possessions in 1806, as punishment for his support of Prussia in a new war against Napoleon.